A calm sushi shop inside of a hotel, lining up only the freshest and highest quality ingredients carefully chosen by the chef every morning from Himi port. Prices and product origins are all shown on the recommendation list for the day, letting you enjoy the local seasonal catch with peace of mind. 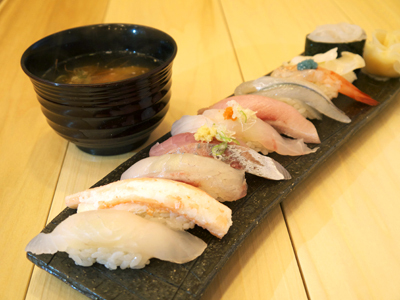 The recommended grilled seasonal fish and the lunch menu are also popular.